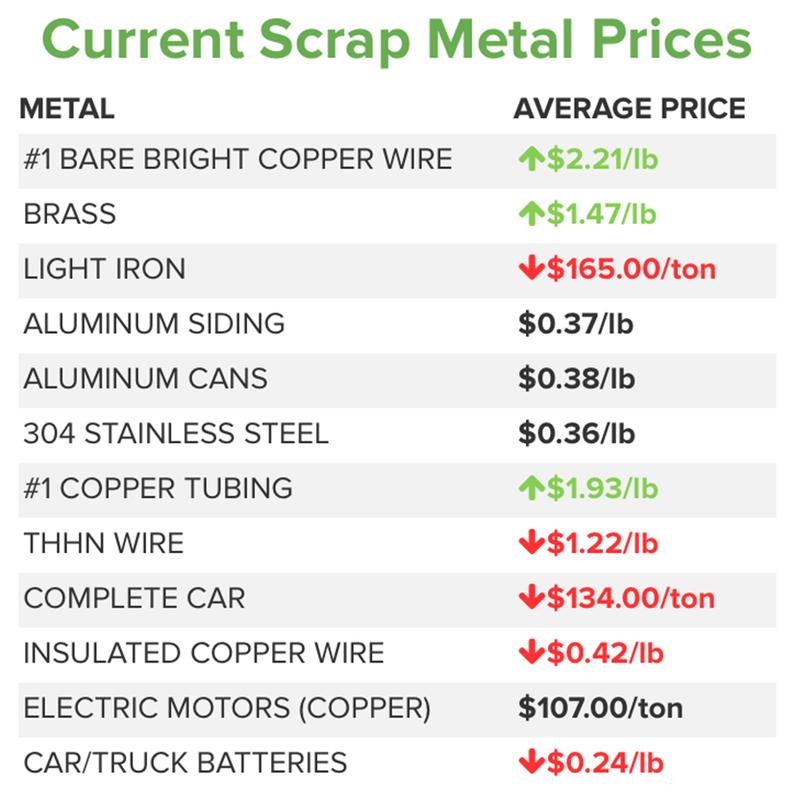 Recycling scrap metal has become more than just an eco-friendly thing to do, it has become a method of income for many people during the tough economic times. While you are saving the world one piece of scrap at a time, why don’t you lessen the load on your wallet and save money on your gas. While traveling around your area to look for scrap and making your trips to the scrap yard, you are using up more gas than you have to. 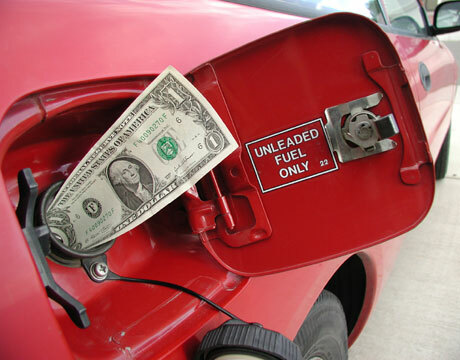 Most scrappers have large, gas-guzzling trucks so saving on gas should be your second priority (scrapping first). 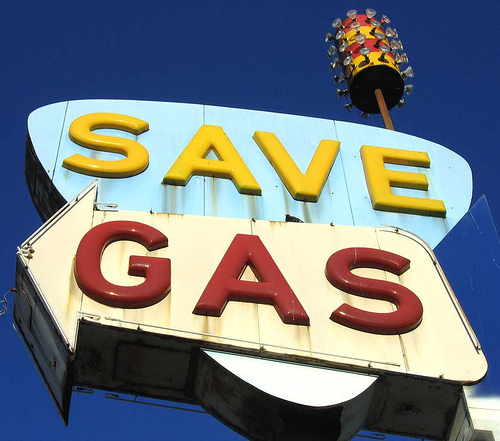 Here are some tips to help you save some money on your gas. Blow That Up! Keeping your tires inflated to the proper pressure can help you save a large amount of money on gas and improve your miles per gallon (MPG). 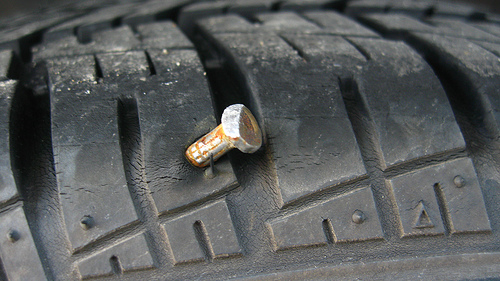 Also be sure to check for nails or metal stuck in your tires. Check with your scrap yard to see if they have preventative ways to keep their yard nail and debris free. 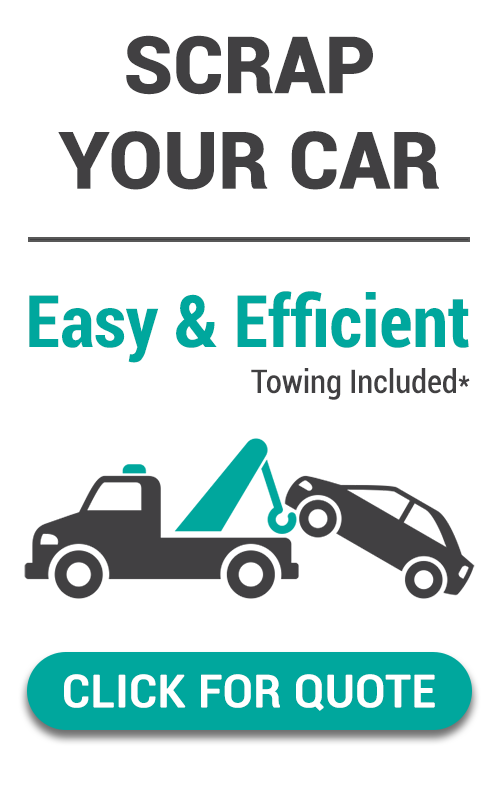 By making sure that your tires are inflated to where they need to be it’s going to allow you to stay on the road longer searching for scrap and visiting customers that you are able to pick up scrap from. Shut It Down! When you arrive at the scrap yard, sometimes you may have to wait in line to get to the scale or door. If you are going to be sitting there for a few minutes save some gas and the environment by shutting off your car. If you can set your truck up somewhere that you can unload everything, it will make the trip more efficient. Early Bird Gets the Gas! Waking up early to go scrapping? Staying out late to hunt for scrap? These are the best times to buy gas. When gas is cooler it is denser, therefore the concentration is higher than the hotter times during the day. Also think about not getting gas on the weekends, generally more people are running errands or traveling so the gas prices have a tendency of being a bit higher. Get Gas on Hump Day! Wednesdays are typically the days of the week that have the best gas prices. It is very uncommon for holidays during the week and also is the furthest day away from the weekend traffic. Cruisin’ and NOT Losin’! If you are driving in an area that can allow you to use cruise control you should. Not only do you not have to push the pedal, but it can save you a whole lot of MPG and it is easier on your engine’s wear and tear. Map It Out! Before leaving to go on your scrap hunts, check out the areas you would like to go. Once you figure that out, use the iScrap App to find the nearest scrap yard in your area and let your phone find the best directions for you. Planning your route before you scrap, can save a ton of gas. For other tips on saving money while scrapping, check out Reducing the Cost of Transportation while Scrapping. 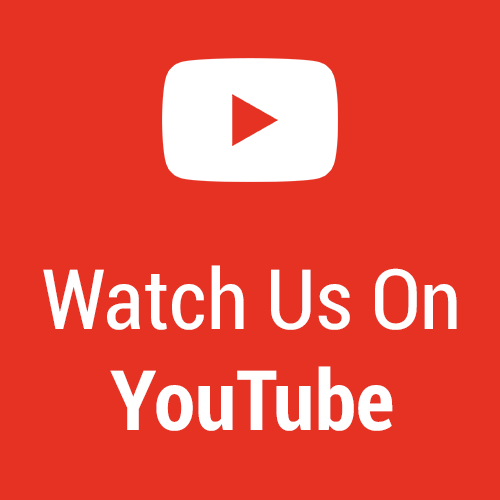 To learn how to make more money on scrapping by watching our YouTube videos.